Using a special formula of pure silica, 1080 is all about performance and winning. When using Predator's chalk, expect improved accuracy, greater consistency, increased rotation, longer on-tip chalk life and better application coverage than standard chalk. 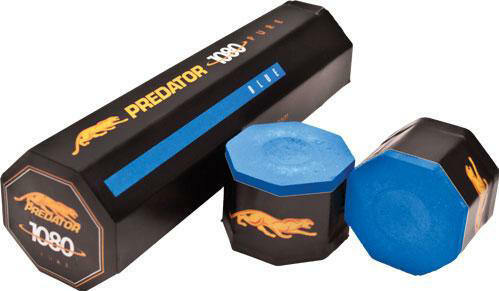 Predator chalk 1080 octagon shape chalk 5 piece tube. Driven by innovation and tested by top pros, it's Pure performance chalk. After more than five years of research and development, and three years of testing by the game's top pros, the next Predator evolution has arrived. Comprised of a special formula utilizing Pure silica and an exacting development process, 1080 Pure was created with one thing in mind winning.